Bitcoin consolidated Tuesday’s 17.3% rally on Wednesday, with a 1.13% gain to end the day at $4,978. A bullish start to the day saw Bitcoin rise to a morning high $5,090.1 before easing back to sub-$5,000 levels. Steering clear of the day’s major support and resistance levels early on, Bitcoin found support through the afternoon. Rallying through to an intraday high $5,335.3, Bitcoin broke through the first major resistance level at $5,290.2 before easing back. A late pullback saw Bitcoin give up $5,000 levels for a second consecutive day. Across the top 10 cryptos, it was a mixed day coming off the back of Tuesday’s broad-based crypto rally. Bitcoin Cash ABC stole the show for a second consecutive day, rallying by 23.3% off the back of Wednesday’s 45.7% surge. The breakout reaffirmed the near-term bullish trend form at late January’s swing lo $105. Litecoin was once again 2nd best. A 10.35% rally could have been much more had it not been for a late pullback. Moves through the day saw Litecoin strike a day high $99.89. A move through to $100 levels would see Litecoin form a near-term bullish trend. It wasn’t to be on the day. For the rest of the pack, Binance saw the heaviest losses on the day, sliding by 6.3%. There were also losses for Ripple’s XRP (-3.6%), Ethereum (-1.96%), and Stellar’s Lumen (-0.49%). 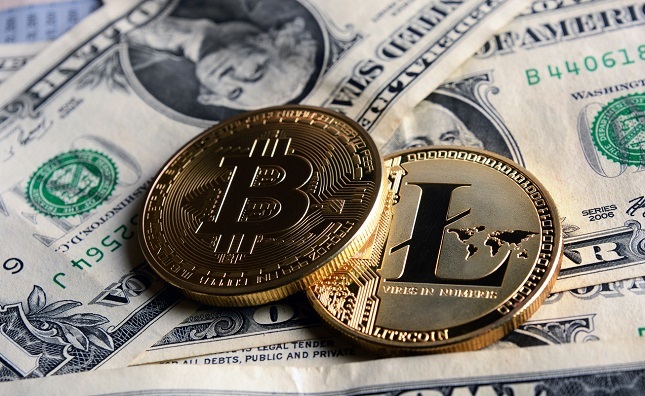 Moves through the first half of the week saw Bitcoin Cash overtake Litecoin by market cap to move into the number 4 spot. Last year’s hard fork had certainly caused investors some pain, but the recovery has been ongoing since late January. The latest moves led the total crypto market cap to a high $185.19bn before easing back to $170 levels. 24-hour volumes managed to hold, in spite of the choppy end to the day on Wednesday. Volumes hit $88bn levels before easing back, suggesting that there’s still plenty of interest at current price levels. At the time of writing, Bitcoin was up 0.44% to $4,999.7. A relatively range-bound start to the day saw Bitcoin rise from a morning low $4,916 to a morning high $5,066.6. Moves through the early morning saw Bitcoin leave the major support and resistance levels untested. Elsewhere, there was some red on the crypto-board. While Binance Coin was on the move, up by 2.75%, Stellar’s Lumen and Cardano’s ADA saw the heaviest losses early on. The pair were down by 1.77% and by 1.43% respectively. A move back through to $5,050 levels by the early afternoon would support another Bitcoin and broad-based crypto rally. A move through the morning high $5,066.6 would bring $5,200 levels back into play before any pullback. Barring a broad-based crypto rally, however, we would expect Wednesday’s high $5,335.5 to be out of reach on the day. Failure to move through to $5,050 levels could see Bitcoin hit reverse later in the day. A fall back through to $4,950 levels could bring $4,800 levels into play before any recovery. Barring a crypto meltdown, however, we would expect Bitcoin to steer well clear of the first major support level at $4,768.3.